Refractive errors such as myopia, hyperopia and astigmatism can be corrected with aerial lenses and / or contact lenses. Currently, we also have surgical techniques that compensate for refractive errors and that allow us to avoid dependence on lenses. 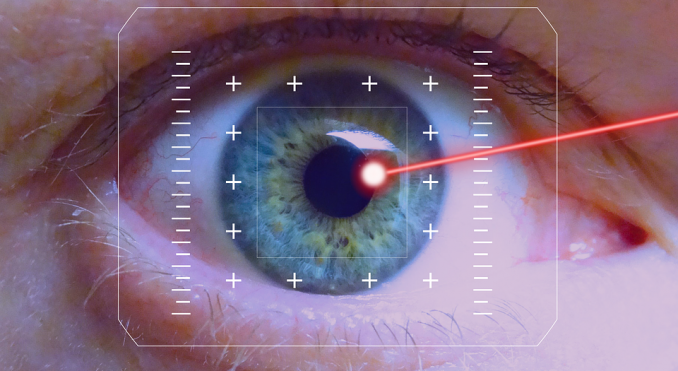 These laser techniques (LASIK) are performed on the anterior surface of the eye (cornea) to modify the alterations presented by the patient. Refractive surgery is the most used for its proven safety and efficacy. It consists in modifying the shape of the cornea to change the dioptric power of the eye. To do this, the thin superficial layer of the cornea (epithelium) must be carefully separated, and then the laser applied to correct the desired diopters. Finally, the treated area is covered with the epithelium previously separated without the need for stitches, in order to restore the normal ocular surface. LASIK allows personalized treatments increasing the accuracy of the correction and the quality of vision in special situations. It is performed with topical anesthesia (drops) and vision is restored in a few hours, so that generally, the patient can perform most of their usual activities the day after the operation without the need for optical correction. What should I do to operate? A thorough preliminary ophthalmological examination is essential to determine if the person is suitable for laser surgery. Complementary studies should be carried out, such as computerized corneal topography and pachymetry, which allow the surgeon the evaluation and the appropriate surgical indication for each particular case.